The City of London Corporation’s Policy Chair Catherine McGuinness has made her inaugural visit to India from 27 to 30 January 2019 to strengthen ties in financial and professional services. The Policy Chair, who is the political leader of London’s historic ‘Square Mile,’ or financial district, travelled to Delhi and Mumbai for meetings with senior government and industry leaders to discuss how to boost relations and knowledge sharing in areas like fintech, green finance, (re)insurance and non-performing assets. During the visit the Policy Chair launched a new report on regtech. The publication is the third and final document in a fintech-related series produced by the City Corporation alongside PwC India, and outlines UK regtech expertise, the market opportunity in India and a recommendation on how to improve collaboration in the sector. Speaking about the report, Catherine McGuinness, Policy Chair at the City of London Corporation said, “RegTech is an exciting area that’s ripe for further cooperation between the UK and India, the latter of which saw $10 million worth of deals in this area last year. “But challenges exist for firms on both sides in terms of an awareness of the potential opportunities. This report, the third and final in a series of fintech related publications we have released alongside PwC India, seeks to address these issues, calling for greater collaboration between various stakeholders including regulators, end user firms and RegTech start-ups in both countries. High Commissioner of India to the UK, HE Ruchi Ghanashyam said, “The City of London Corporation is an important partner of the High Commission of India in London, working closely to boost economic and commercial activities between India and the UK particularly in the fields of financial services and fintech. 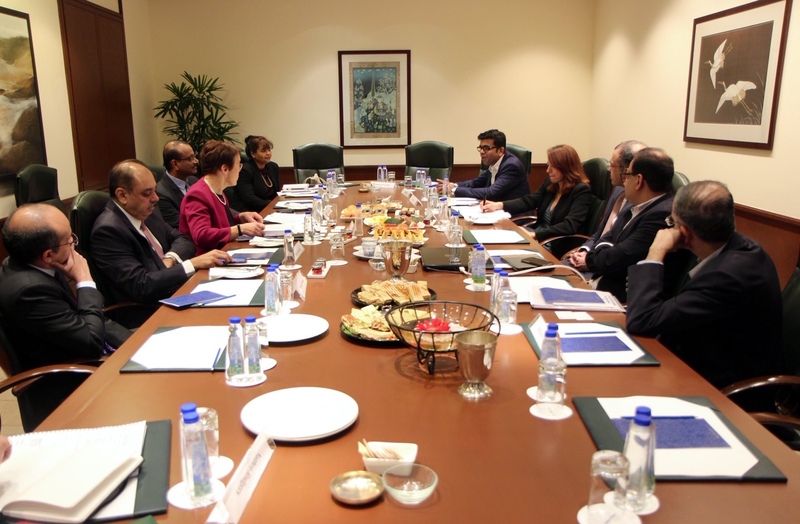 “I am delighted to learn that the Policy Chair is visiting India... This visit will foster greater understanding of the City of London in India as well as deepen the already close and strong trade and economic relationship. Regional Head of State Bank of India (UK Operations), Sanjiv Chadha said, “SBI is delighted that Policy Chair Catherine McGuinness will make her inaugural visit to India. “The Bank is pleased to work with the City of London Corporation in further developing relationships in the financial and professional services space. The City Corporation has a longstanding programme of work in India, and opened a representative office in Mumbai ten years ago. 13 Indian banks have offices in London and many have branches across the UK.